Glaucoma is a common cause of irreversible vision loss. This group of eye diseases, which inflict damage on the optic nerve, does not result in symptoms in the early stages. This is one reason why an ophthalmologist in Chicago may speak with you about your risk factors. 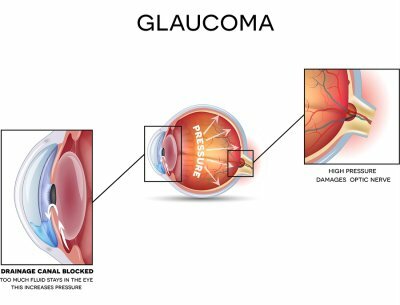 If you are at a high risk of glaucoma, your ophthalmologist can explain the screening tests that are available at the optical center. One major risk factor is your family history. Having a parent or sibling who has been diagnosed with glaucoma can increase your own risk substantially. Be sure to update your personal and family health history each time you visit the eye doctor. Another significant risk factor of glaucoma is your age. Your risk increases with each birthday, particularly when you reach your 40s and beyond. Individuals with severe nearsightedness are also at an increased risk of glaucoma, as are those who are of African, Hispanic, or Asian heritage. Patients with type 2 diabetes may already know of their risk of diabetic retinopathy, but they’re also at an increased risk of glaucoma, especially if they’ve had diabetes for a long time.